1964. Sitting in the back of Dad's 1959 Ford Fairlane station wagon with the back window up. 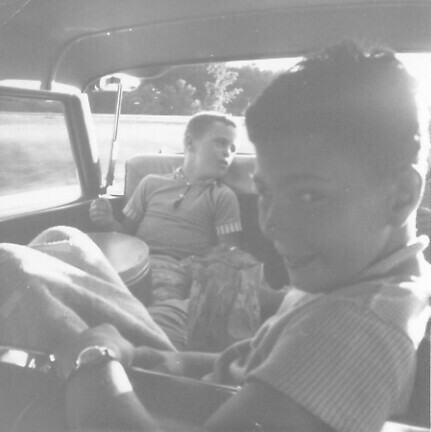 Me and Mike (background) on the drive to a picnic.